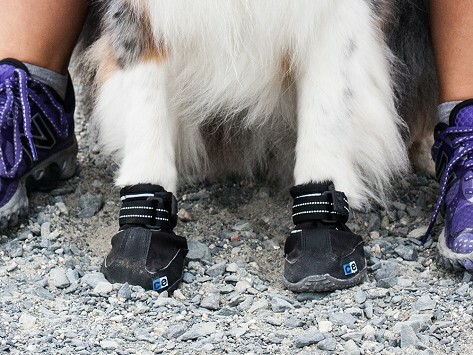 High-traction, ergonomically molded terrain boots. 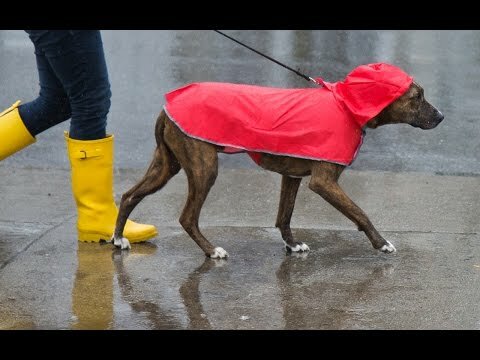 The Packable Rain Poncho keeps your dog dry during rainy walks, which is great for both of you. Made with a waterproof taffeta shell, the hooded poncho keeps water off your pet’s fur and head. No more shaking off in the house, no more dreaded wet-dog smell or matted down fur. It’s made by RC Pets, whose Founder has a background in creating rugged, high performance gear for skiers and snowboarders. Founder Rory Carr—or RC, if you will—figured our pets could benefit from similar products, and that’s been the focus of RC Pets ever since. This packable dog poncho is a cinch to fit on your pup with an adjustable Velcro strap. A small hole in the coat keeps your dog leashed easily while it’s on. And every size, up to XXL, folds up neatly into a compact pouch with a belt loop to store or clip it anywhere. In a variety of colors and sizes, this little slicker brings a bit of cheer to walks in inclement weather.